July saw 10 of the most expensive works of art sold at auction for a total of $130.8 million. 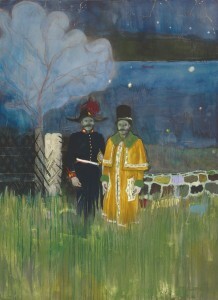 The works included pieces by Peter Doig, Andy Warhol and Johannes Vermeer. Doig's Country-rock (wing-mirror) (1999) sold at Sotheby's for £7.5 million. 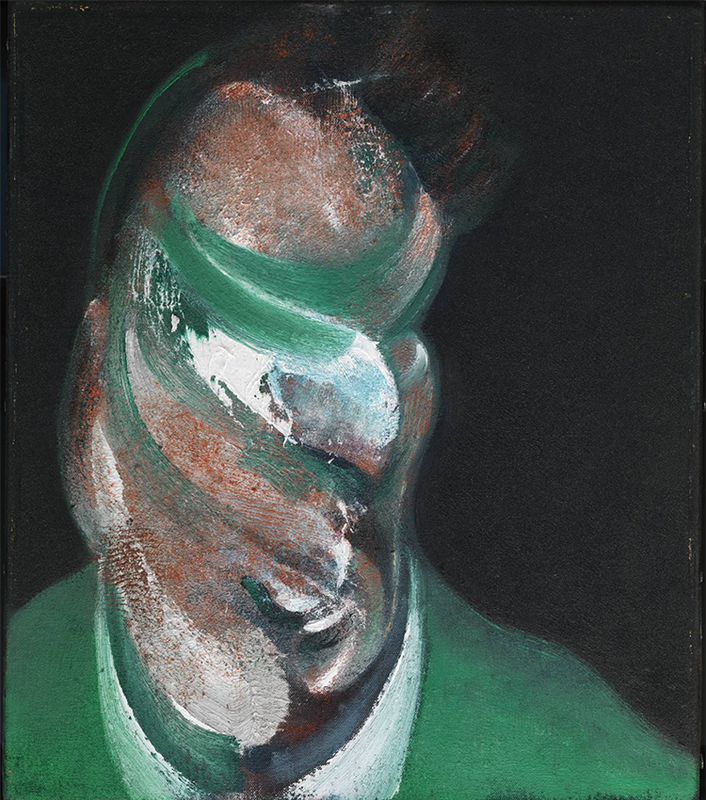 The most expensive lot sold in July was Francis Bacon's Study for Head of Lucian Freud which sold at Christie's Post-War & Contemporary evening in London. The wonderful story behind the piece is that it had been in Roald Dahl's collection in 1967 after he bought it at Marlborough Fine Art with the money he had earned from Charlie and the Chocolate Factory. 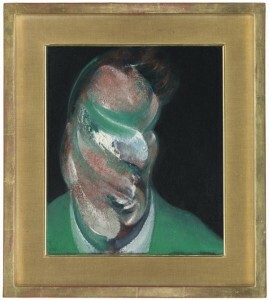 Francis Bacon, Study for Head of Lucian Freud. Christie's London: Tuesday, July 1, 2014; Sold for £11,506,500. Peter Doig, Gasthof. Christie's London: Tuesday, July 1, 2014; Sold for £9,938,500. 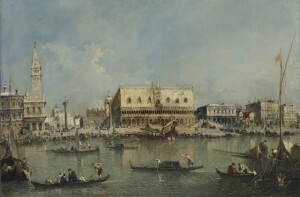 Francesco Guardi, Venice, the Bacino di San Marco, with the Piazzetta and the Doge's Palace. Christie's London: Tuesday, July 8, 2014; Sold for £9,882,500. 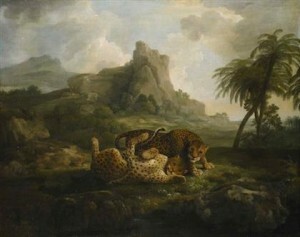 George Stubbs, Tygers at play. Sotheby's London: Wednesday, July 9, 2014; Sold for £7,698,500. 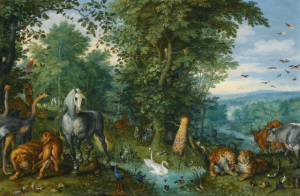 Jan Brueghel the Elder, The Garden of Eden with the fall of man. Sotheby's London: Wednesday, July 9, 2014; Sold for £6,802,500. 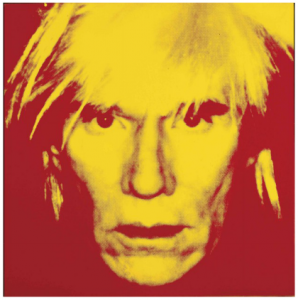 Andy Warhol, Self-Portrait (Fright Wig). Christie's London: Tuesday, July 1, 2014; Sold for £6,354,500. 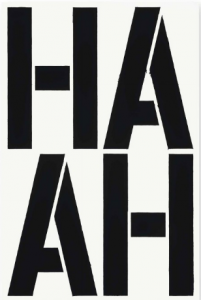 Christopher Wool, Untitled. Christie's London: Tuesday, July 1, 2014; Sold for £6,242,500. Johannes (van Delft) Vermeer, Saint Praxedis. Christie's London: Tuesday, July 8, 2014; Sold for £6,242,500. 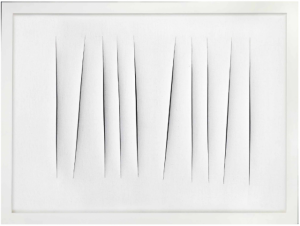 Lucio Fontana, Concetto spaziale, Attese. Christie's London: Tuesday, July 1, 2014; Sold for £6,018,500. 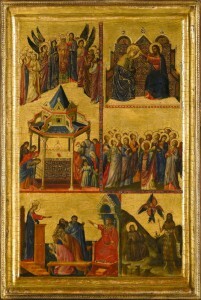 Giovanni da Rimini, Episodes from the lives of the Virgin and other saints. Sotheby's London: Wednesday, July 9, 2014; Sold for £5,682,500.